Are You The King of the Screwups? 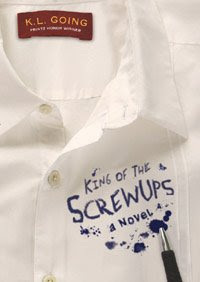 KL Going’s King of the Screwups is getting rave reviews, and now KL is holding a huge contest that asks you to confess your biggest screwup in a paragraph or more! If she laughs hysterically, or cries in sympathy, you just might be a winner!